WE ARE GLAD YOU SAW THE LIGHT. 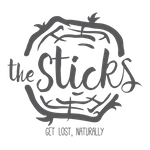 A stay at The Sticks is all about a unique experience amidst the unpredictability of nature. Feast on scrumptious home-cooked food under the stars, go on an adventurous trek, or enjoy a relaxing dip in the river right before a long lazy nap in your tendok as the delicate afternoon breeze lulls your senses away. Claim your right to a great escape, just an hour away from Kuala Lumpur. Book your stay today.